You believe your loved one has become a victim of nursing home abuse or neglect in a nearby Rincon nursing home facility. If you are in shock and do not know who to turn to, we can help. Contact Schenk Smith today to learn more about your options, or visit us at Schenksmith.com to review over a hundred educational videos. Many Georgia families are unsure whether their case involves abuse or neglect. Simply put, abuse requires intent to cause physical or psychological harm, whereas neglect is a willful disregard for human life. Physically hitting a resident is a form of abuse. Forgetting to feed a bedridden resident would be a form of neglect. Both are criminal, and if you suspect either, it is important to understand your options. Why Sue a Nursing Home? Stopping the abuse from continuing: When a nursing home realizes that a law firm is involved, they tend to take action to avoid further damage to their reputation and finances. That might mean firing individuals who took part in the abuse or neglect, or making changes to how they run their organization. Pay for outstanding medical bills: If the nursing home is liable for the injuries incurred by your loved one, then they should pay for your loved one’s medical bills. Under no circumstances should you pay for their errors. Reparations for pain and suffering: The nursing home has put your loved one and your family through a great deal of stress, anxiety, and frustration. Reparations in the form of a cash settlement are the least they can do to make up for it. Will a Suit Against the Nursing Home Be Expensive? The answer will depend on whom you hire to represent your loved one’s interests. 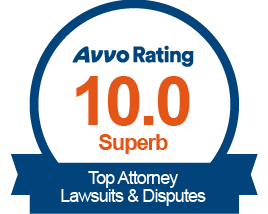 If the attorney uses a per hour rate, you may pay a significant amount in legal fees up front. And if they lose your case, you do not get that money back. However, if you hire a law firm on a contingency basis, it means you do not pay a penny of your own money for legal fees. Rather, the law firm will take a percentage of the settlement or final verdict after it has won your case. If they do not win your case, they take nothing. At Schenk Smith, we work solely on a contingency basis. Furthermore, our initial consultations are completely free. All said and done, when you choose us as your law firm, you effectively pay nothing. Schenk Smith has been helping Georgia residents fight back against nursing home neglect and abuse since 2013. 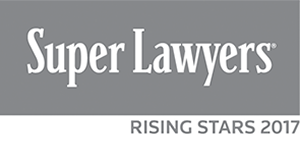 Our attorneys are Georgia Super Lawyer Rising Stars and we have deep ties to Georgia’s elderly community (including being members of the most prominent senior citizen advocacy groups). In fact, our co-founder was a CNA for Georgia nursing homes for over ten years before becoming an attorney! With that said, if you’re a Rincon, GA resident who lives nearby Ansley Park, Sweetwater Creek, or E. County Line Road, let us come to you. We’ve got your back through this tough time. Nursing Home Abuse & Neglect in Rincon, Georgia- What you need to know. Rincon, Georgia is located in Effingham County and has a population of 9,690 residents. Of those, 8.2% are aged 65 and older. Many of these elder residents cannot seek justice on their own, which is why we at Schenk Smith go above and beyond to help these residents win a fair outcome in court. My Loved One Was Neglected—Does Reporting It Make It Worse? It’s unlikely that reporting neglect to authorities such as the Georgia Department of Community Health or Georgia’s Long Term Ombudsman Program will make your loved one’s neglect worse than it is now. The reason for this is that no nursing home wants to be scrutinized by state officials. They’d much rather clean up their act, remove bad nurses, and step up their services. Now, this may not always be the case. But the incentives to doing so are very high. A nursing home could lose its business license, lose its residents to bad reviews, and eventually go out of business if they do not take the proper steps. They may be frustrated that you’re reporting the neglect. But there is little they can do to take revenge against you and your loved one. You have everything to gain and nothing to lose by reporting neglect to the proper authorities. First of all, your loved one has already been through a lot. And everyone’s first priority is to ensure he or she never has to go through that neglect again. If you decide not to contact the authorities, it becomes critical that you remove your loved one from the nursing home and into another as soon as possible. What Is Septic Shock? Is It the Nursing Home’s Fault? Septic shock is a life-threatening physical condition where an infection causes your body to release inflammatory-inducing chemicals into the bloodstream. This kind of inflammation is most commonly found in the elderly whose immune systems have been weakened over time. While anyone of any age can get septic shock, it kills more seniors than any other group. Sepsis: the infection reaches the bloodstream, and the body releases inflammatory chemicals to fight it. Severe sepsis: Your organs come until incredible stress, as inflammatory chemicals wreak havoc on your kidneys, lungs, heart, and brain. Septic shock: In the final stage, blood pressure plummets, causing organ failures, strokes, and eventually, death. Septic shock causes more deaths in intensive care units than any other physical condition. Nursing home staff should be aware of how to stop septic shock in its earliest stages, before it becomes life threatening. Finally, if your loved one was seriously injured or even killed from septic shock, you may have a case for a lawsuit. Feel free to visit our library of educational videos (located on Schenksmith.com) or call us to set up a free consultation. Has This Nursing Home Been Fined in the Past? If you’re curious whether a particular nursing home has been fined for health code violations, negligent conduct, or other legal violations, there are a few tools you have available to you which you can access for free on the internet. The first is run by medicare.gov. The second is a state organization—the DCH. gov’s Nursing Home Compare website. Nursing home compare has detailed information “about every Medicare and Medicaid-certified nursing home in the country.” Fines and citations are included in this information, along with other details related to staffing and quality of resident care. Georgia’s Department of Community Health. The DCH is a state-run organization which provides licensure to all nursing home facilities within state borders. Their website contains a wealth of information about the scores of each nursing home in your local area. Additional information on both of these organizations can be found below. For your convenience, we’ve provided contact details and links to their websites. Lastly, if you are concerned about the rating that a particular nursing home has received, and have reason to believe your own loved one has suffered at that facility, then do not hesitate to contact the law firm of Schenk Smith today. My loved one was hurt in a Rincon nursing home- What do I do next? If your loved one was severely injured or passed away at a Rincon, Georgia nursing home, then we recommend that you act as soon as possible to protect your loved one’s rights. The Georgia Department of Community Health regulates and licenses all nursing homes found within the stage. If you wish to file a complaint with the DCH, we recommend contacting their regulatory body, the Healthcare Facility Regulation. The Georgia Office of the Long-Term Care Ombudsman was developed to help mediate disputes between Georgia residents and state nursing homes. Officials from the Long-Term Care Ombudsman program are allowed to assess nursing home grounds and review facilities to ensure compliance with state regulation. If you believe your loved one was physically assaulted while in a nearby nursing home, you have every right to contact the local authorities and file criminal charges against one or more nursing staff or administrators. For abuse occurring in a RIncon, Georgia nursing home, report the crime to the City of Rincon Police Department or to the Effingham County Sheriff. Find another facility for your loved one. Once you’re convinced that abuse or neglect have occurred, your first priority should be to remove your loved one from their current nursing home facility. Only after you know your loved one is safe can you begin looking at the legal options you have against the nursing home in question. Thankfully, there are tools which are provided to you by the United States government which can help you better assess and locate a new nursing home for your family member. One such tool can be found on the Medicare.gov’s website. Click here to go to the Nursing Home Compare Website. The Nursing Home Compare tool allows you to review nursing home staff, check for health code and legal violations, and compare multiple nursing homes side by side. For your convenience, a list of all nursing homes located within Rincon, Georgia is located below, along with their contact information and inspection scores. Get the medical records from the hospital and the nursing home. Your loved one’s medical records may be the key to winning your case against the nursing home. However, finding the records and gaining access to them may prove difficult. Nursing home staff might try to stop you from seeing your loved one’s medical records. This often happens when a nursing home is trying to hide something from you. It may take time, but you can compel the nursing home to give you the records if you have power of attorney over your loved one. Your loved one may have been taken to a hospital for injuries they received while at the nursing home. The problem will be finding out which hospital your loved one stayed at. Don’t expect nursing home staff to be of much help here. And nurse staff at the hospital will demand to see the proper paperwork documenting your power of attorney as well. We understand how stressful it can be to locate your loved one’s medical records. To help you find them, we’ve published a list of hospitals in nearby Rincon, GA. If you’re looking for a place to start, try these. Begin the probate process if your loved one has passed away. We are sorry to hear about the passing away of your loved one. In the event that the death was caused by abuse or neglect, that passing may be even more painful. Fortunately, your loved one may still have an opportunity to seek justice in the loss of their life. To pursue legal action against the nursing home in your loved one’s name, you or a close relative will need to go to the Effingham County’s probate court and set up what is known as an estate. As the executor of an estate, you can act on behalf of your loved one, even though they are no longer with us. The process of preparing an estate and selecting an executor to handle the estate’s affairs is relatively straightforward. However, you should expect to spend a few hours asking questions and filling out paperwork. If you have questions during this process, feel free to review Schenk Smith’s huge library of informational videos published on our website. Or contact us to set up a free consultation. Need help finding a new nursing home for your loved one? We hope this list of nearby facilities will do the trick. This information is taken from our CMS’ Nursing Home Compare Website. Why Choose Schenk Smith as your Nursing Home Lawyers? We at Schenk Smith believe your choice in attorney matters for many reasons. It will matter to your loved one’s wellbeing. It will matter to your finances. And it will matter to the final outcome in court. Our track record: Schenk Smith has settled or secured in final verdicts millions of dollars for Georgia families. And we aren’t even close to being done yet. Our respect for the Georgia elderly community: We are on several senior citizen advocacy groups, and regularly release podcasts educating Georgia residents on how to spot and stop elder abuse. If your loved one was injured or died in a Rincon, Georgia nursing home, please call us at Schenk Smith (678) 823-7678 for a free consultation. You can also check out hundreds of video FAQs on our website.